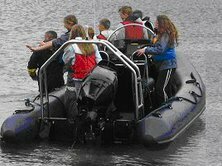 In 2003 the club took possession of a 5.8 meter Ribcraft that was a flat packed form. This was dualy fitted out with a Suzuki DF140 four stroke. It was put into service that year and has been the transport to many a great dive. All about Ribing and Boating in general. There are some links to Rib builders and other ribing information. 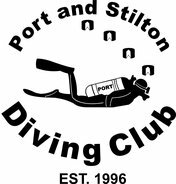 With the Club and Site being all about diving and ribs it would not be very prudent to have no interest in the place that gives us all some much entertainment and is of so much importance to the welfare of this planet and everything placed upon it. This section looks at the area and offers some links to other sites.